Picture yourself as the posessor of fantastic wealth. Come on... we've all done it at some point. Personally, I walk along the seafront in Brighton and choose which of the mansion houses I would purchase. I would then buy a load of property all over the world and become a benevolent 21st century Rackman figure. Someone, somewhere, would rather spend their wealth on owning a golden phone. 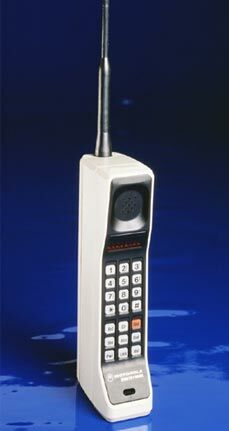 Yes, that's right, a golden phone. Or at least this must be the case because the usually astute bods at Nokia have released the wonder that is the 8800 Sirocco Gold. After detailing the best looking handsets, it seems only right that Nokia should deliver something so gloriously heinous as this. Looking rather like something that might drop out of King Midas' rear end, this handset is arguably the most bling thing you could possibly have in your handbag. 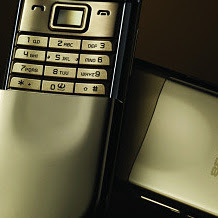 Before you can say 'footballers wives', it is worth noting that the handset is basically just a normal 8800, with all of the inherrent problems that have always plagued Nokia's top-end poseur package, such as a small memory (for the price) and a bad talk time, although this has been improved since the first 8800 was released. The downside to having a golden phone is that it is heavier than equivalent handsets and would probably be quite attractive to a criminal, should he see it sitting on the table at the local Rat & Parrot. I think those that have do not flaunt it. it is thoese want others to think they have that do. So in short, i don't think many rich and famous will buy this. I think it will those who wished they were.